Both applied for the “fighting chance” where any high level martial artist can attempt to qualify for the British Taekwon-Do team for the Olympics. 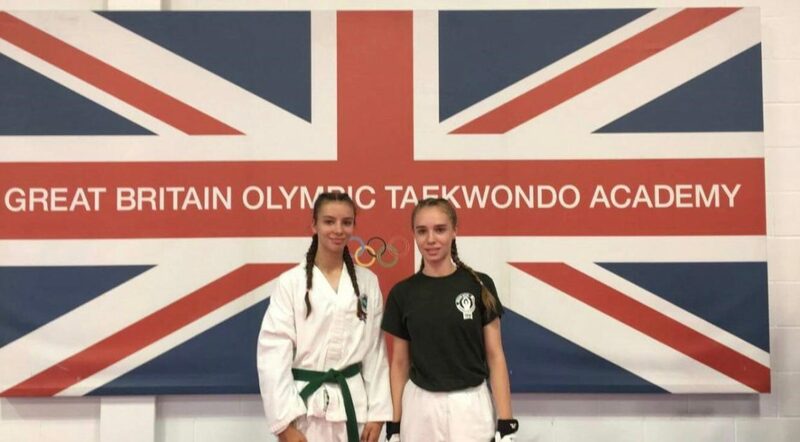 Both only Green Belt level, qualified for an audition putting them in the top 30% in the country. After demonstrating various techniques for a panel of 9 independent judges the girls were asked to spar 3x 1.5 minute rounds vs a randomly selected opponent. The bouts are not officially scored, and both girls drew black belt opponents. Nonetheless both gave incredible accounts of themselves, not phased by facing such high ranked opponents and both clearly over powering their opponent to secure selection to move to the final interview stage!!! Something only a few that were present achieved. Results will be out toward the end of August, but at such young ages (Isabelle being the only 13yr old present on the day) and lower ranked in the belt system than other competitors, this is a HUGE achievement.